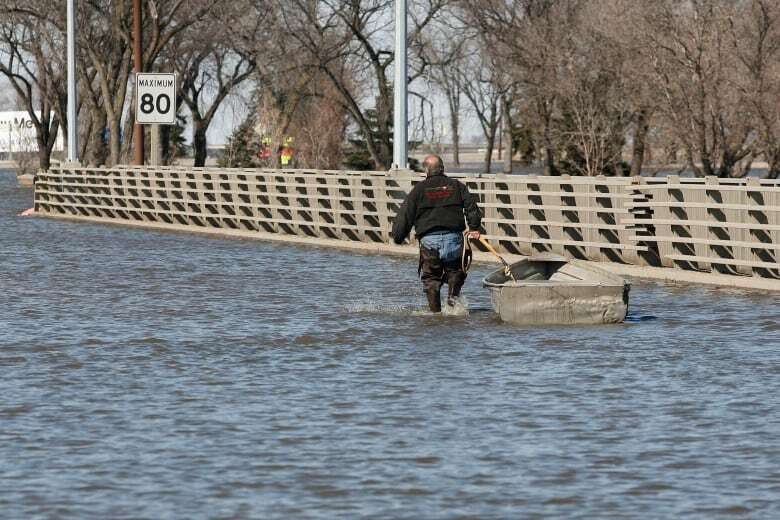 Flood forecasters predict a potentially devastating deluge for parts of the province this spring — but even if it's as bad as expected, it will be far from the first time a Manitoba flood has left a trail of destruction in its wake. 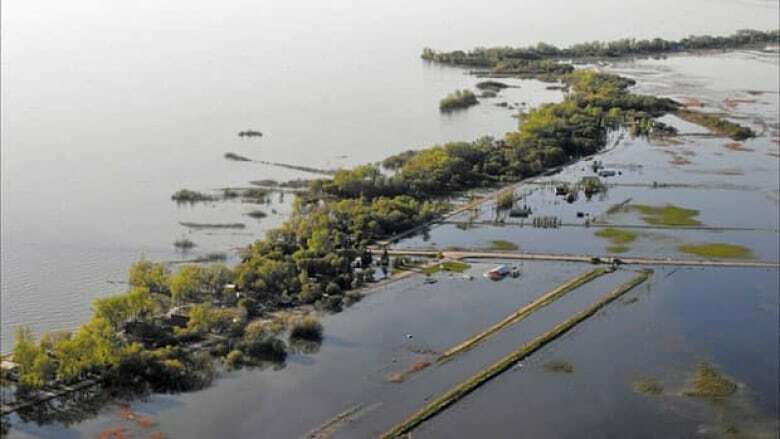 Since then, officials here have warned Manitoba flood levels could be even worse than 2009 — the second-highest since the Red River Floodway was constructed, surpassed only by the "Flood of the Century" in 1997. Governments and landowners here in Manitoba have invested heavily in flood control systems over the years to improve water management and reduce the risk of damage. But as University of Alberta assistant history professor Shannon Stunden Bower writes in her book Wet Prairie: People, Land and Water in Agricultural Manitoba, flooding remains a perennial problem in the province. "This isn't a problem that can be solved — this is a problem that's every bit as fluid as the very water that you're trying to manage," Studen Bower said. That means it can also be hard to narrow down which floods are important to look back to, she said. "One of the challenges in determining which [flood years] are most worthy of attention is the fact that often, it would vary depending on your identity and your positioning — geographical and otherwise — within the province." 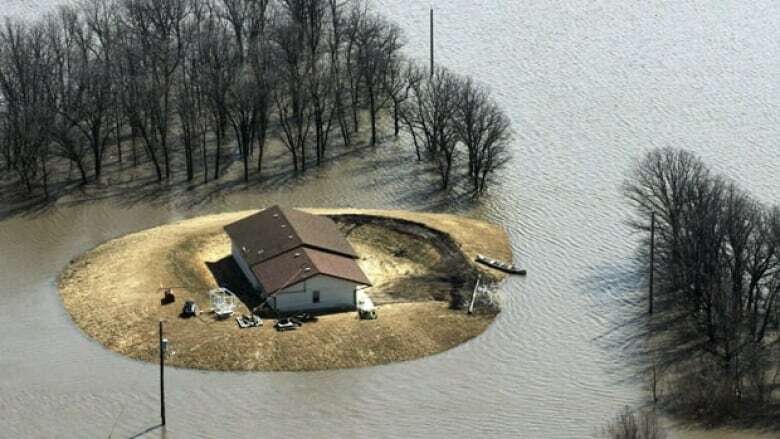 But five of the worst Manitoba flood events over the past two centuries, she said, hit in 1826, 1950, 1997, 2009 and 2011. Plaques beneath the canopy at The Forks serve as high-water marks and reminders that 193 years ago, all of it was metres underwater. A series of blizzards in the winter of 1825-1826 preceded the greatest flood in the recorded history of what is now Manitoba — a flood that nearly destroyed the Red River Colony in minutes. "It was challenging in part … because this was a relatively recently arrived settlement without a whole lot of resources after the flood," said Stunden Bower. The area where Winnipeg stands, and the south in general, was in transition at the time. It was still dominated by Cree, Anishinaabe and other Indigenous nations that lived and moved through the territory, said Stunden Bower. Just a few years before the flood, though, a group of primarily Scottish settlers established themselves at the confluence of the Red and Assiniboine rivers. In one of the only accounts that exists from that time, Hudson's Bay Company clerk Francis Heron chronicled the devastation of the 1826 flood on the colony in his journals. "About 2 p.m., the ice in the Red River at length broke up, with an awful rush; carrying away cattle, houses, trees and everything else that came in its way," reads an entry dated May 5, 1826. "The houses of the settlers were one instant seen standing, and the next not a vestige was to be discovered, to denote their situations. Forty-seven dwelling houses were thus carried off by the first rush, in the short space of half an hour, and many others afterwards." 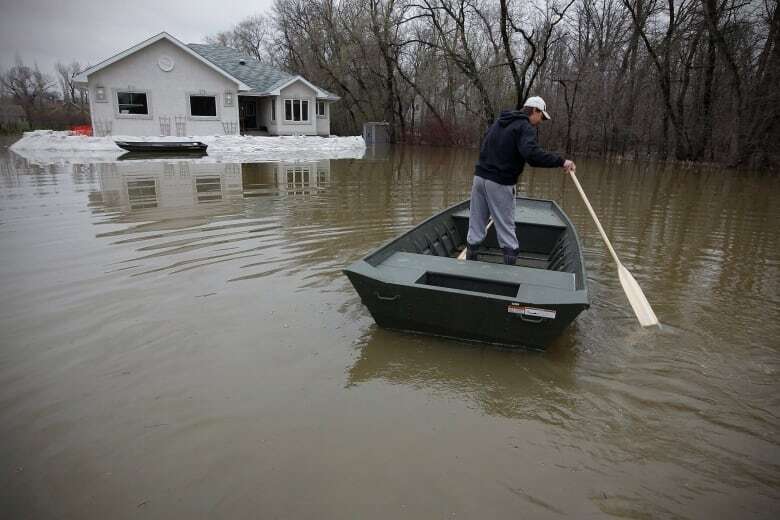 No actual damage cost estimates are available, but were a flood of this scale to hit Winnipeg today, the Manitoba government estimates it would cause $5.8 billion in damage in the city (in 2019 dollars). That severity is largely due to the lack of flood control infrastructure in place at the time. 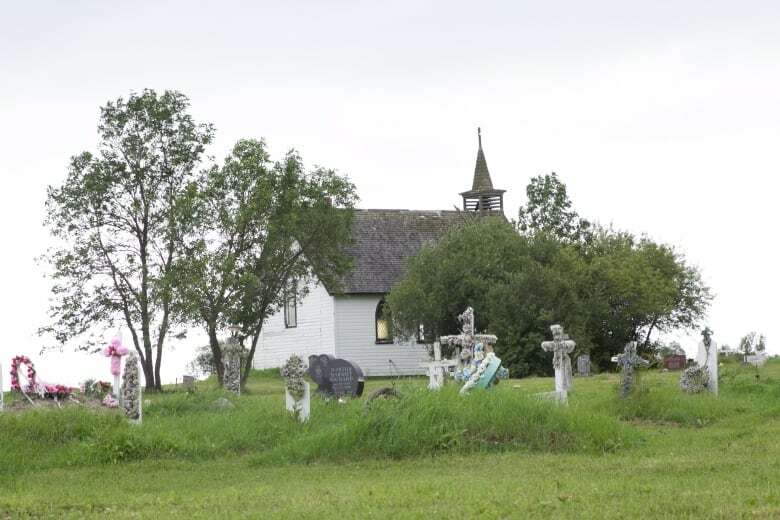 Some of the settlers sought refuge on higher ground, like Stony Mountain north of Winnipeg, but the flood convinced many in the area to pack up and leave. "Some settlers who had lived through it just chose not to come back. Basically they'd been flooded out and they weren't going to try to rebuild," Stunden Bower said. Historians estimate waters rose to a height of 764.87 feet above sea level in 1826 — seven feet higher than in the 1950 flood. 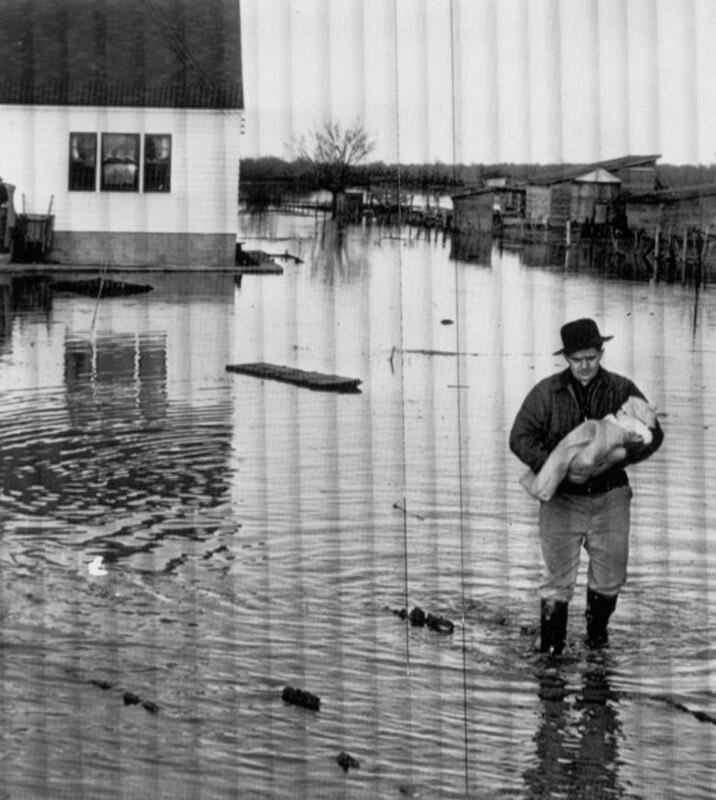 Flood levels in 1950 hit 757.85 above sea level and caused an estimated $1 billion in damage in 2019 dollars, according to the province. It was the highest level water had reached in Manitoba in nearly a century. 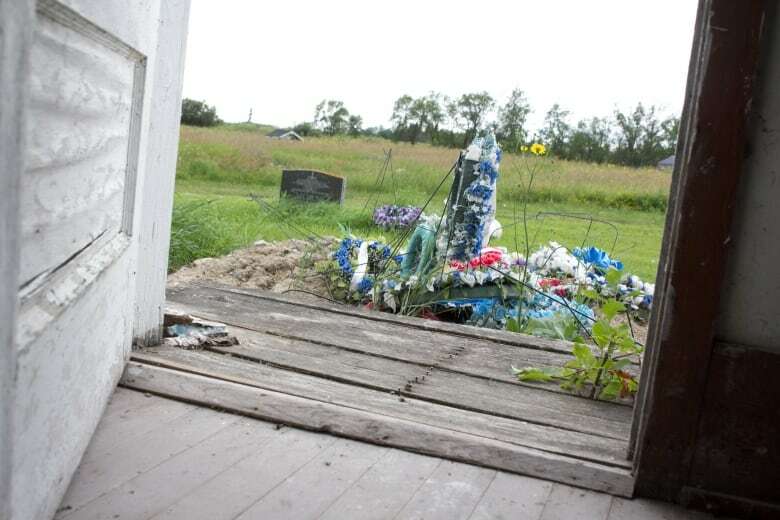 One person, Lawson Alfred Ogg, died in the flood and more than 100,000 Winnipeggers — roughly a third of the population — fled the city. "There was, in fact, a plan to evacuate everybody if things went really bad," said Stunden Bower. Millions of sandbags were no match for the combination of heavy fall rain, a long winter, lots of snow and more rain in the spring, leading up to the flood that wreaked havoc from April through June. 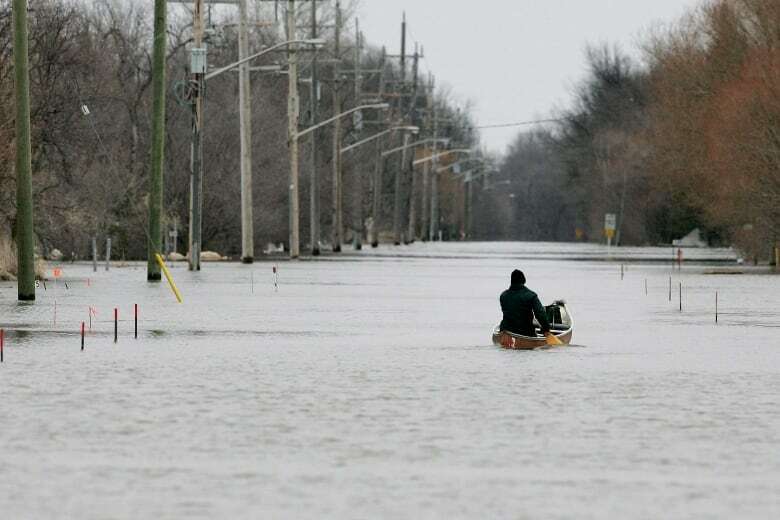 An area covering 1,500 square kilometres from the U.S. border to Winnipeg was underwater. The Canadian Armed Forces were called in to help with sandbagging and evacuation efforts. CBC video from the time shows old cars making waves as they tried to drive out of Winnipeg, and people being ferried from homes in motor boats. 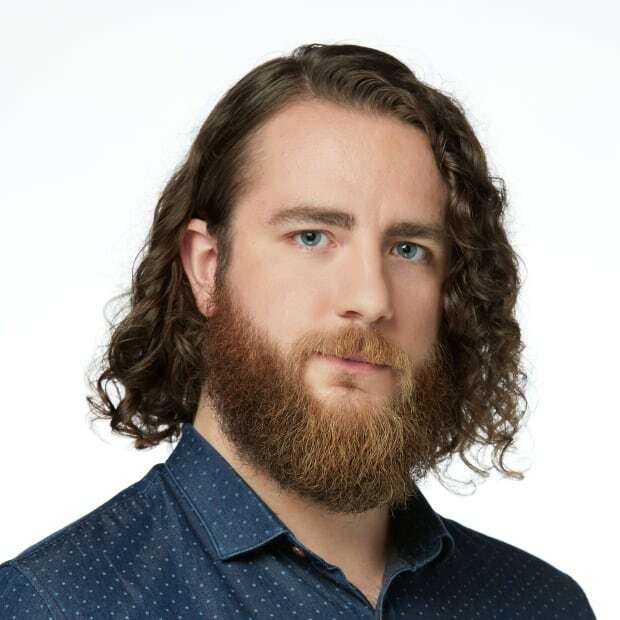 "The 1950 flood was interesting and dramatic in part because of the media technologies that prevailed at the time, and international interest in sort of broadcasting the Manitoba experience," said Stunden Bower. 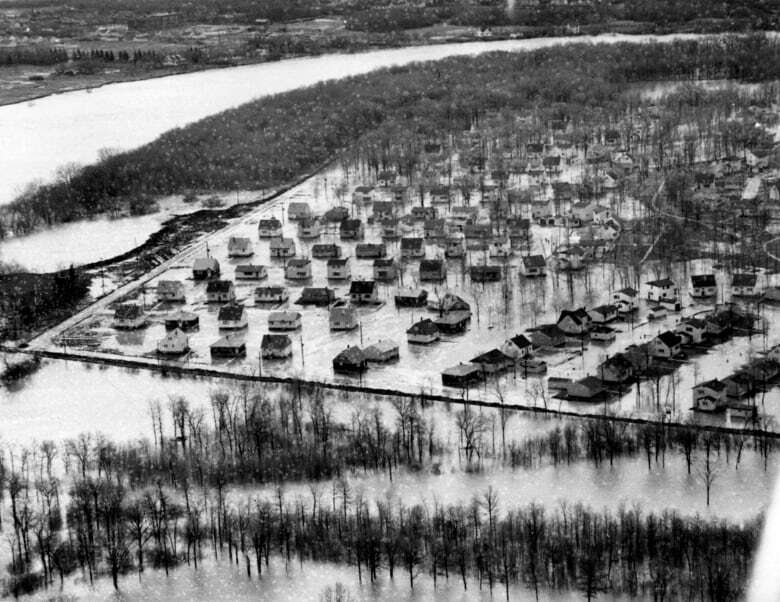 After the 1950 flood, she said, different levels of government began seriously considering investment in the flood controls that would later be built: the Red River Floodway, the Shellmouth Reservoir and the Portage Diversion. "You also really see in 1950 the clear emergence of a government focus on safeguarding the concentration of wealth and power in the city of Winnipeg," she said. "This was an episode that put the city at risk … in terms of its infrastructure, in terms of its population — and there was the emergence of this idea that this cannot be allowed to happen again." The floodway was built between 1962 and 1968 at a cost of $63 million. It was colloquially referred to as "Duff's Ditch" after then-premier Duff Roblin, who was the driving force behind the floodway. 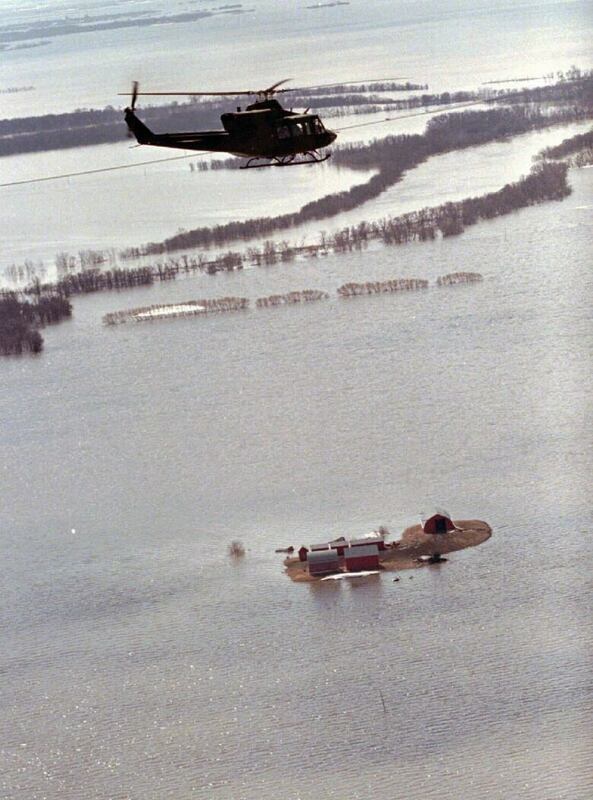 The province says the floodway has prevented billions of dollars in damage in Winnipeg since completion, including during its first test in the 1979 flood. 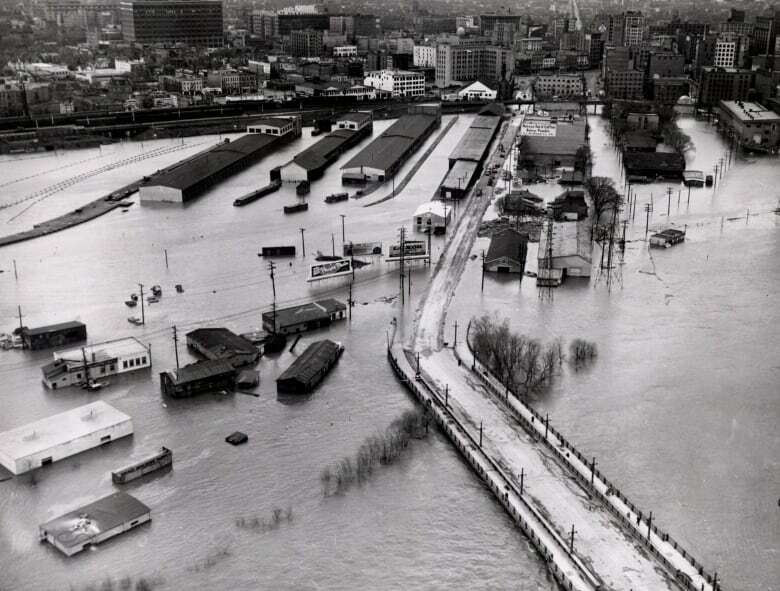 The peak flow at James Avenue in Winnipeg that year was roughly the same as in the 1950 flood. The flood controls helped limit levels on the Red River to 5.8 metres (or 19.1 feet). Without the system, James Avenue levels would have been closer to 9.2 metres — or 30.3 feet, the province said. It all started with an unusually frigid winter, punctuated by a spring blizzard that grounded planes and closed highways in all directions. As much as 50 centimetres of snow dropped in the Red River Valley in 24 hours on April 5, 1997. As all that heavy, wet snow melted, the waters began to rise in Manitoba and North Dakota. "There was this dramatic tension that built," said Stunden Bower. 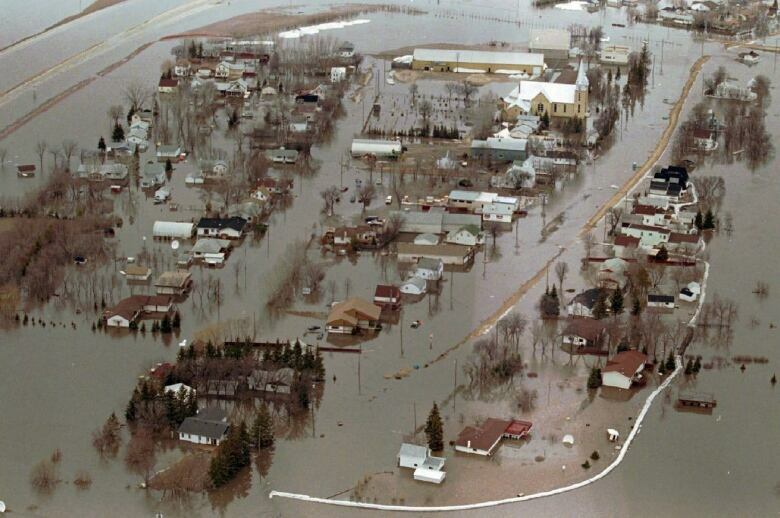 "The flood of 1997, of course, was really devastating in Grand Forks." 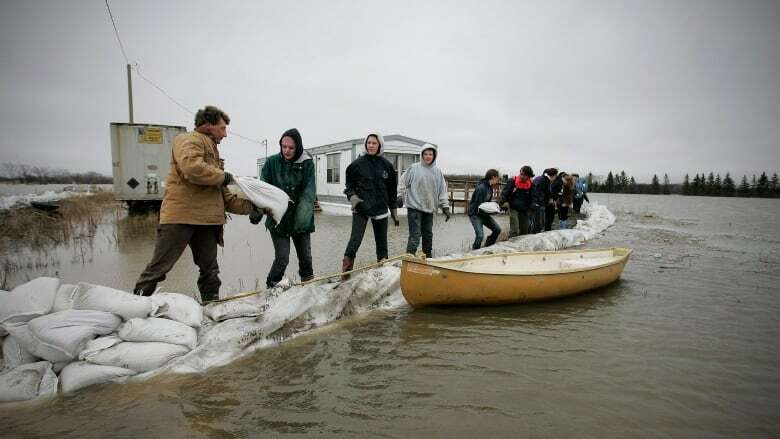 It led to direct or indirect floods in at least 24 Manitoba communities. About 25,000 people evacuated their homes in Manitoba, and about 1,000 homes were damaged. Thousands were told to leave their homes south of Winnipeg. Some of those evacuations may have been unnecessary. Close to 8,000 soldiers — one-tenth of the Canadian Armed Forces— were brought in to help with sandbagging and evacuate rural communities. 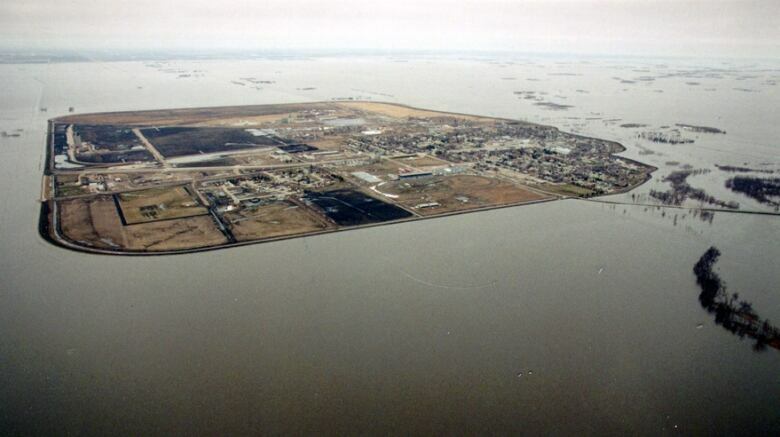 A ring dike around Morris was sealed, making the town a veritable island on the Prairies. The flood caused an estimated $500 million in damage provincewide. Without the flood controls in place by 1997, levels at The Forks could have been as high as the flood of 1852. The Red River crested at 24.5 feet at James Avenue in Winnipeg; the province says without the flood controls, it would have hit 35 feet. "It did raise a lot of alarm in the city of Winnipeg, and there were urban spaces that were profoundly devastated and urban people who whose lives were profoundly transformed," said Stunden Bower. "But I think one of the most significant things that came out in the aftermath of that flood was a commitment to more substantially ring dike the urban spaces in southern Manitoba," she said. The province also moved to expand the floodway after the 1997 flood, more than doubling its capacity — to 140,000 cubic feet per second from 60,000 cfs. The expansion was designed to protect against a one-in-700-year flood event, the province said. That speaks to the severity of the event: it was the most serious Red River Valley flood to hit Manitoba since 1852, says the Manitoba government. As a result, the term "Flood of the Century" came into being. Stunden Bower said Manitobans need to constantly consider whether current flood controls suit our needs — or run the risk of getting caught off-guard in future floods. "Just like our relationship with non-human nature needs to be revisited and managed in a year-to-year way, so does our relationship to infrastructure require that sort of tending," she said. 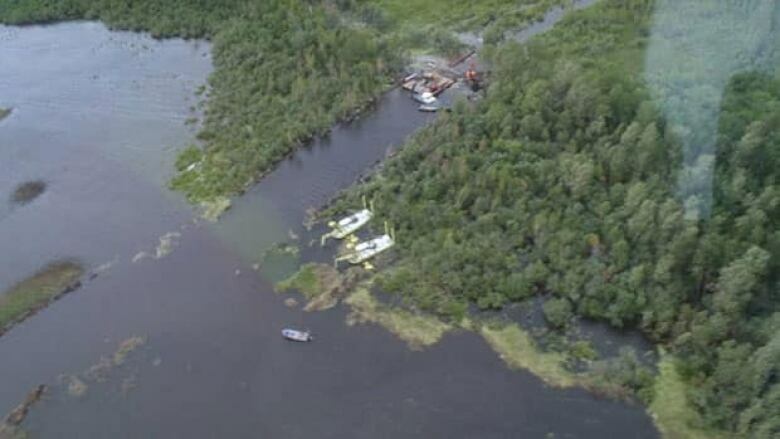 Manitoba Emergency Services Minister Steve Ashton told media in 2009 amid flood-fighting efforts that it was the third-worst Manitoba flood in 100 years — worse than the 1979 flood, though not as bad 1997 or 1950. It ended up being the fourth-highest flood of the Red River since 1826. Among other factors, a November 2008 rainstorm played a major role. Ground frost during the winter meant the soil was unable to absorb much moisture in the spring. 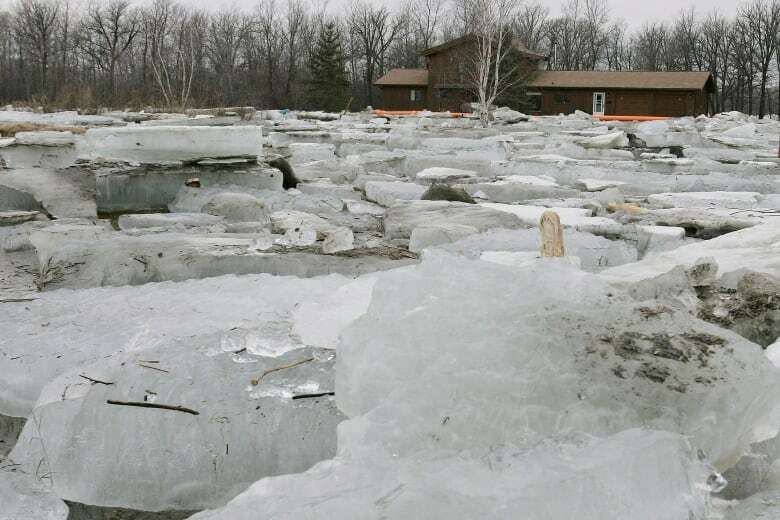 Choked-up ice flows led to blockages in the river drainage systems. Overnight, levels shot up nine feet on the Red River after ice jams in the Breezy Point and St. Peters Road areas, north of the floodway. By the first days of spring, the Red was within one foot of 1997 levels. The river crested at 22.5 feet at the James Avenue Pumping Station in Winnipeg in mid-April, though the province says it would've hit 32.5 feet (two feet below 1997) without the floodway. "The greatest success of the 2009 flood was the protection provided by operation of major flood controls," the province says on its website. "[They] reduced the crest in Winnipeg by 10 feet, preventing billions of dollars in damages." That bold retrospective — the word "preventing" is actually bolded on the government website — suggests the province in some ways views its management of the chaotic flood as a success. "It does tend to be cast in this celebratory vein, like, 'Look, we managed this massive flood without significant disruption,'" said Stunden Bower. "I always wonder when I hear celebratory renderings, where did the water go? Who was affected? If those in charge are seeing this as a huge success, where might we see different narratives?" The flood caused just under $7.5 million in damage in Winnipeg, a city spokesperson said — a drop in the bucket compared to 1997, 1950 or 1826. 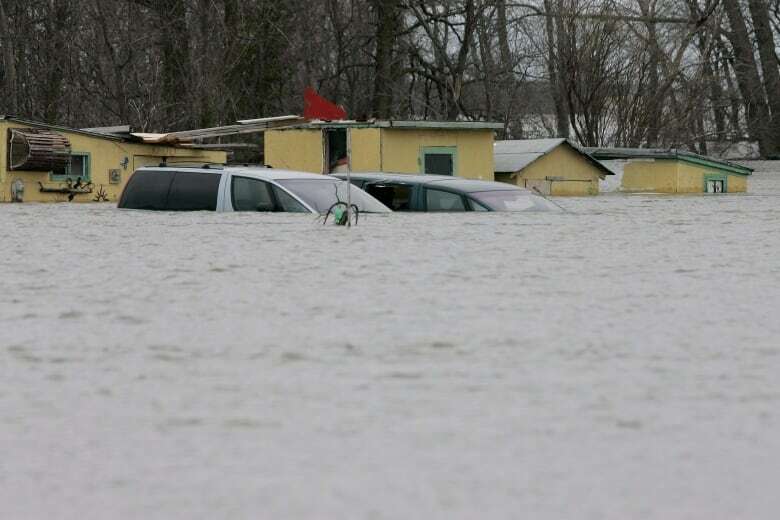 Zoom outside city limits and the impact was much greater in economic terms — across Manitoba, the flood caused $70 million in damage, according to the province. Just two years after the 2009 flood, Emergency Services Minister Ashton would characterize the 2011 flood as an "unprecedented, one-in-350-year flood." Thinking in those terms may not always be the most useful, Stunden Bower said, as the Prairie climate is naturally prone to sustained wet and dry periods. "What's interesting from 1997 onward — and especially 2009, 2011 — is that we're being forced to grapple with the fact that these are not 100-year floods, that this is clearly more of a year-to-year management," she said. "It makes clear that the challenge isn't … 'Survive this and then move on with our lives,' but to figure out how we are going to manage our relationship to water, and to each other, in the context of a flood-vulnerable place." 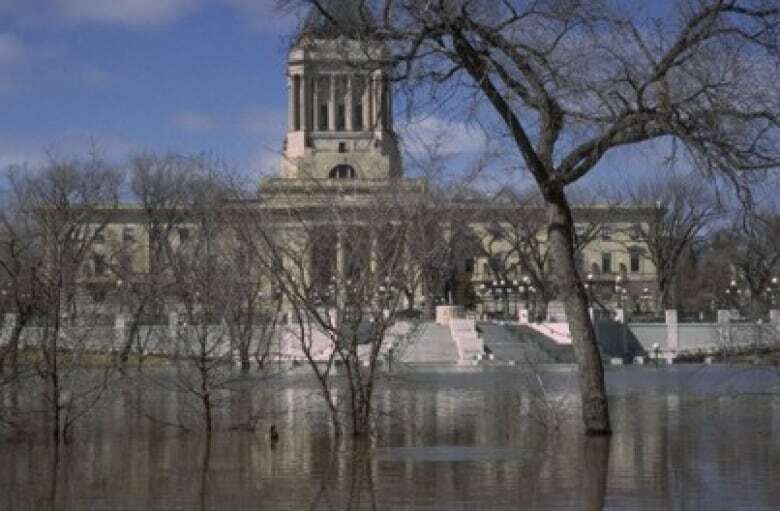 Distinguishing features of the 2011 flood include the fact it was driven largely by the bloated Assiniboine River in western Manitoba, and Winnipeg remained relatively unscathed. 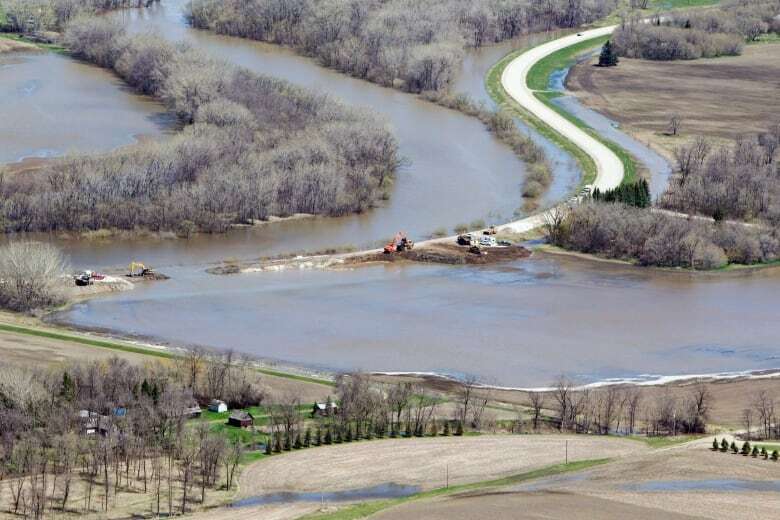 Officials were concerned old dikes along the Assiniboine — built by the provincial and federal government even before the 1950 flood — weren't robust enough to withstand potentially "catastrophic" flood levels, Premier Greg Selinger said in 2011. There were also worries the Assiniboine dike system could concentrate the water and speed the flow east. So, in one of the defining moments of that spring, the NDP government made the unprecedented decision to flood one rural area to protect urban Winnipeg and other more populated communities. 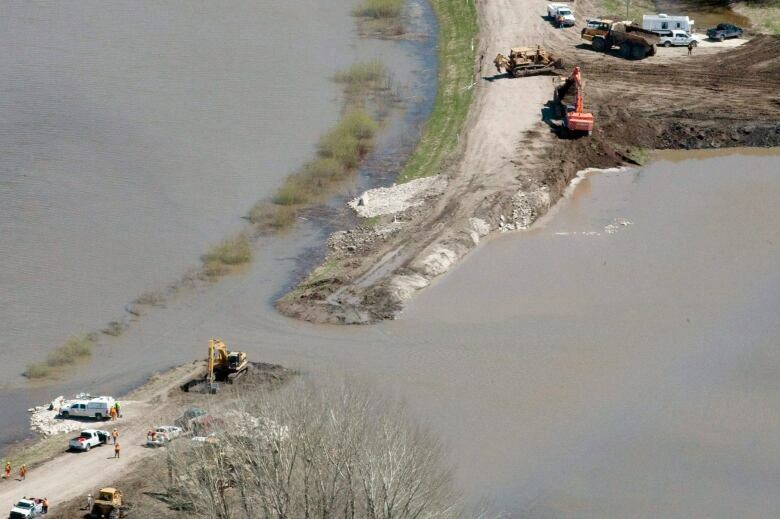 Tractors and front-end loaders intentionally severed a dike that doubled as a road at the Hoop and Holler bend near Portage la Prairie, about 80 kilometres west of Winnipeg. Nearby farm fields were instantly flooded. The move was later criticized for not being as effective as advertised. Less water spilled from the Assiniboine into adjacent farmland than expected. The 29-kilometre Portage Diversion helped channel flood water north into Lake Manitoba, raising the levels on the lake. As with 2009's flood, the significance of the 2011 flood depends on location and experience. If you were a farmer near Portage la Prairie, the 20-metre-wide Hoop and Holler dike cut wasn't welcome news. The province would later pay locals for damage to their property, though some landowners accused the province of failing to fully compensate them. "In lots of ways, flooding is a mirror, and how we manage it and deal with it tells us stuff about our society," Stunden Bower said. "The people … who tend to do the worst through flood events, tend to be people who are already disadvantaged. Flood management means making decisions that benefit some people in areas at the expense of others," she said. "But it's also only a reasonable way to proceed if the next step is to have a serious and forthright discussion about how to compensate those who were negatively affected, and I think often that is where we lose our energy sometimes. "The water passes and we're moving on." Stunden Bower said 2011 is "unquestionably the flood of record" for Indigenous people who live near the shores of Lake Manitoba. About 4,000 people were forced from Pinaymootang, Little Saskatchewan, Dauphin River and Lake St. Martin First Nations due to floods that year. Many were forced to relocate to Winnipeg and live in hotels initially; some were never able to return home, said Stunden Bower. Others developed mental health and addictions issues during their time away from home. Affected residents launched a class action lawsuit against the federal government seeking compensation. A judge approved a $90-million settlement last year, though there continue to be delays and residents still haven't seen any of that settlement money eight years after the evacuation. Many from Lake St. Martin — nearly 100 as in six years — died from illnesses the community associated with stress and lifestyle changes after they were displaced. "If we're serious about mitigating flooding we need to pay attention to who wins and who loses, and to recognize how people who lose tend to … be those who are already disadvantaged," said Stunden Bower. "2011 is the most egregious example of this," she said. "These communities that have suffered through the various ills of settler-colonialism are now forced to bear the water that is diverted from the province's centre of power and economic prosperity."